PF cadres have petitioned their leader Edgar Lungu to fire his minister Lucky Mulusa for mocking fire tenders acquired by governments at $1 million each. Mulusa said the Fire Tenders are camparable to wheelbarrows. WISH to condemn in the highest order the statement that was made by our Minister at a CIMA function circulating in video format on social media. It seems that our MINISTER Has become so “Trigger Happy” in terms of issuing Statements. *WE* can not have Ministers making a mockery of other Ministers hence abrogating provisions of the Law. This in itself demands that stern action to be taken. 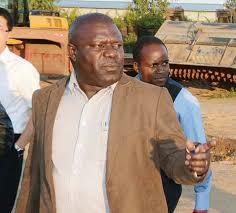 *THE PETITIONER* also wish to remind Zambians that a fortnight ago, The Minister of Local Government – HON. Vincent Mwale presented a Ministerial Statement in Parliament concerning the acquisition of Fire Tenders as was requested by the House. IT IS WITH this background that we can not have a Cabinet Minister continue to be as such after mocking the credibility of fellow Ministers as well as the Leader of Government Business in Parliament – The Republican Vice President – Mama Inonge Wina. *THE PETITIONER FURTHER* wish to remind our Ministers that basic principles of public administration ought to be exemplary for they are a reflection of the Confidence that We the Citizens of this Country have in the administrative institutions of this Country as well as that of Cabinet. *FINALLY*, The Petitioner wish to request that a Commission of Inquiry be instituted in order to establish whether the statement or action by the Honourable Minister Of Planing and National Development could be prosecuted. A further term of reference be included to establish whether the Ministers’ (Hon. Mulusa) contradicting statement vis a vis the Ministerial statement that was made by Hon. Nkandu Luo – Minister Of Higher Education concerning UNZA State of affairs on Non payment of fees amounted to an abrogation of Cabinet Collective Responsibility. WE AWAIT YOUR QUICKEST ACTION ON THE MATTER.